If there is any occasion that knocks the door of Compare family at every month-end, it’s Cut the Cake celebration. 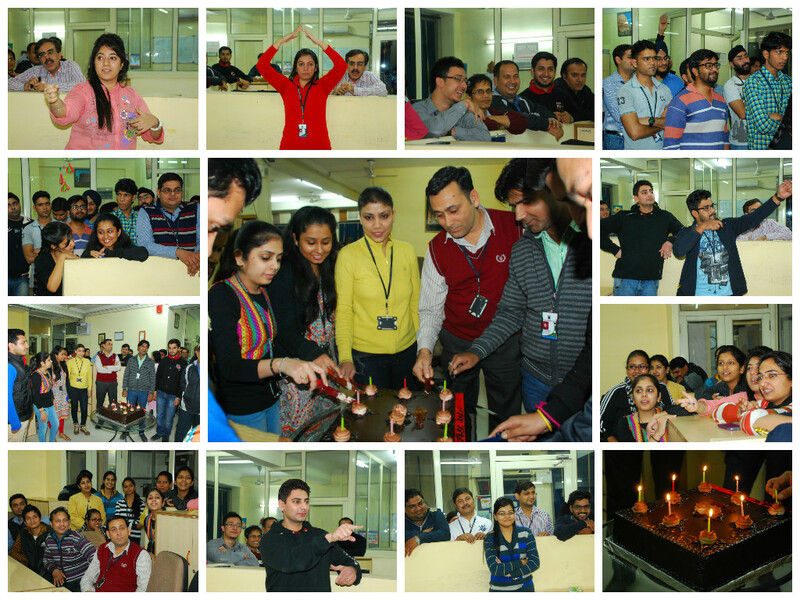 The occasion of Cut the Cake gives everyone an opportunity to come together under one roof and celebrate the birthday bash of their co-employees. It is not only a time to partake of the joyous moment of cake cutting, but also to acknowledge those members (this time Jai, Narendra and Surendra) who have contributed significantly over the years in the growth of the company. Hence, unfailingly this time also we all celebrated the birthday bash of November borns (Sandeep Mishra, Ashish Sachdeva, Altaf Hassan, Shivangi Tandon, Kuldeep, Kamal Kishore, Navdeep Singh, Jaya Budhiraja, Rekha and Isha Handa) which was accompanied by Quiz and light snacks. Quiz, including Dumb Charades and tongue twisters helped in refreshing our minds and breaking the monotony of our routine days. This way everyone revelled in the light fun and frolic get together and the hearts of everyone blossomed. This entry was posted on December 1, 2014, 12:11 pm and is filed under Birthday. You can follow any responses to this entry through RSS 2.0. You can leave a response, or trackback from your own site.